The JJB is returning to the west coast in October! I have proof, because I’m writing this just after purchasing airline tickets for the last hour—a task I savor and look forward to for weeks. I can’t wait to play The Freight and Salvage again; I have so many great memories of performing there with Joy Kills Sorrow. Then we return to my old stomping grounds, the bluegrass stronghold of Oregon, for three shows. It’s always a blast to go back there, see so many old friends, and hoist up the facade that I like “hiking” again—something I held in place for my entire upbringing, only to gloriously rip off when I moved to the east coast in 2007. Finally, we’ll visit Prosser, WA, for a show at The Roots Cellar. The band has never played in Prosser, but I have a sneaking suspicion we’re huge there! And for those of you that have complained in the past that JJB shows don’t feature enough mandolin, we’ve decide to quadruple the mandolin air time by turning all fiddle, guitar, and bass solos in to mandolin breaks. If mid-tour this still doesn’t seem sufficient, we might make a game time decision to convert all 2nd and 3rd verses in to more mandolin features as well. So not to worry! I kid, but anyway, we sure hope to see a bunch of west coast friends on this trip! One last note, if you feel like you get plenty of emails, but not enough mandolin related emails, sign up for the Jacob Jolliff mailing list at the bottom of this page! The Contingents are a brand new project featuring Alwyn Robinson and Greg Garrison of Leftover Salmon, and Jacob Jolliff of Yonder Mountain String Band. Though the three of them have very different backgrounds, they have a mutual affinity for music in a wide variety of styles. The prodigious drummer, Alwyn Robinson, grew up in Marshall, Texas before making the move to Boulder, CO for grad school. He's recorded and shared the stage with countless musical giants including Jeff Coffin, Ron Miles, Oteil Burbridge, and Phil Lesh to name a few. While living in the front range he connected with virtuoso bassist, Greg Garrison, who was already a member of Leftover Salmon. Originally from Chicago, Greg has collaborated with legends such as Bill Frisell, Chris Thile, Joe Lovano, and Lyle Lovett. Jacob Jolliff is a national champion mandolinist who was raised in Newberg, OR. He relocated to Boston after he received a full scholarship to The Berklee College of Music. He started touring with YMSB in 2014. These three musicians have played together in different contexts over the years, but this is their debut tour as a trio. You can expect intense and high energy music spanning many genres from bluegrass to jazz to pop. Yonder Mountain String Band's Latest Music Video, "Alison"
Featured in Rolling Stone Country, here is our latest music video, featuring a track called "Alison" off of our unreleased album! We shot this in the box canyon mountains of Telluride, CO during Telluride Bluegrass this past summer. Yonder Mountain String Band has announced the Fall Tour Schedule for October. Pre-sale begins Wednesday (tomorrow), July 20th, at 10 AM CT via Yonder ticketing. FREE DOWNLOAD WITH PRE-SALE PURCHASE!!!! Grab your pre-sale tickets and get a free download code to redeem tasty live Yonder from the vast catalogue at Yondermountainlive.com. Public on-sale begins Friday July 22nd at 10 AM CT. I had the honor of performing for the first time with Yonder Mountain String Band at Red Rocks Park and Amphitheatre last year, and now we'll be returning to this incredible venue on August 20th! Accompanying YMSB for this year’s homecoming, we welcome Drive-By Truckers, as well as special guests Preservation Hall Jazz Band. 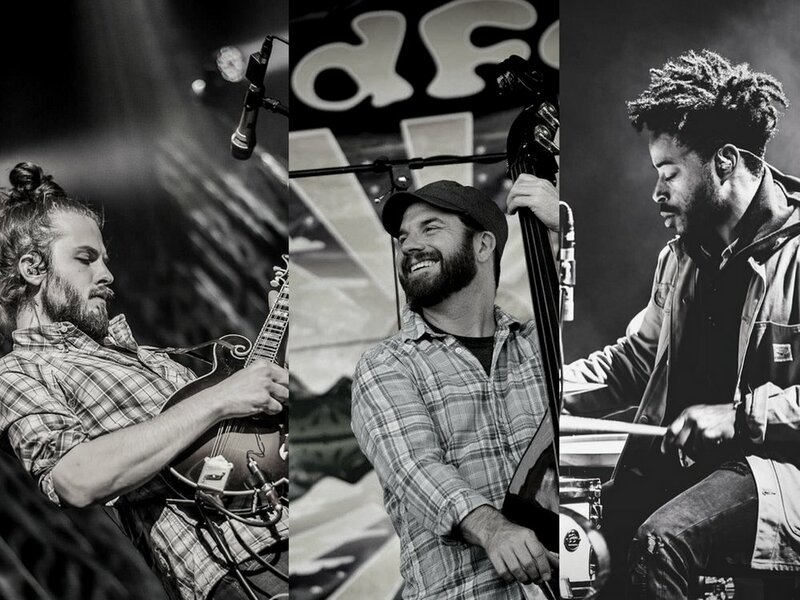 This powerful and eclectic line-up features the amazing soulful southern rock of Drive-By Truckers, the rich jazz tradition of New Orleans with Preservation Hall, plus the original blend of bluegrass and progressive jam-improvisations of Yonder Mountain.